Our ‘A Day in the Life’ series highlights alumni in various fields and positions, offering a glimpse of what life after graduation is like. This post comes to us from M&T alumna Rachel, currently working at Gogo in Chicago. I work as a Product Manager for Gogo, a global provider of in-flight connectivity and entertainment solutions. If you’ve purchased wireless connectivity on a flight in the US, chances are you’ve used our products. I joined three months ago to work on our platform services, focused on how we enable both internal and external customers to record, access and update customer information, so that we can allow customers to easily sign up and sign in to use Gogo services. At a high level, I evaluate feature ideas to determine their value for customers as well as their technical and business feasibility. Once a feature meets or exceeds all of these bars, I work with our architecture and development teams to break it down into individual requirements with acceptance criteria that the development team can deliver for customers. I usually get up around 6:45 – while Gogo is located in the Chicago suburbs, I chose to live in Chicago proper. The trade-off is waking up early to commute about 45 minutes to an hour each way, depending on traffic. I usually get to work just after 8:30, and leave around 5 if I’m done with meetings. I always bring my computer home and check email at night but try to focus on prioritizing correctly in the office so I can turn off from doing non-email work at night. Most of today was spent with my development team, looking at the projects and individual stories that we want to complete in Q3 of this year, and identifying both dependencies on other teams and where other teams are relying on us to deliver work. In addition, I’ve been working on determining objectives and key questions to ask for a customer survey relating to an upcoming feature I want to see us deliver for customers. On most days, my primary interactions are with the development team including architecture, software developers, QA, and infrastructure engineers. In addition, I spend time with other Product Managers across the team and our executive team to ensure key members of the organization know what my team is working on (and equally important, what we are not). No, and no known upcoming travel for at least the next two months. I love working with the developers on my team. At our 15 minute stand-up every morning, each member of the team talks about what they did yesterday, what they are doing today and anything blocking them. It’s a great way to see the progress the team is making and quickly identify problem areas that need to be unblocked so the team can keep shipping features to customers. I started at Gogo three months ago, and the biggest challenge for me has been learning the ins and outs of the airline industry. Gogo has two customers: the end user who buys our passes during the flight, as well as the airlines who we work with, and rely on, to enable connectivity on an individual plane. I still have to remind myself to stand in the shoes of both an end customer as well as an airline partner when evaluating a feature, and am often trying to find the right balance between those two groups of customers. My journey to Gogo started out of a desire to move closer to my family after seven years in Seattle at Microsoft and Amazon. My husband and I chose Chicago to be convenient to both of our families, and after setting out on a job search I found a surprising amount of tech companies in Chicago of all sizes and industries. I applied to Gogo as soon as I found the job – I loved the idea of working on some of the challenges I saw from the outside, and was lucky enough to quickly go through the interview process and get hired. M&T certainly helped me get my first role out of school – my internship at Microsoft was the first year of a formalized undergraduate marketing intern program, and the Microsoft recruiting team at the time was very familiar with M&T as providing a great skill set for the role. More than that, as many other Computer Science M&T alumni will undoubtedly say, while I don’t program anymore I find that my background in engineering gives me credibility with my development teams. My degree in engineering helps me to better relate to both the technology challenges they face as well as the way they analyze problems. I have M&T to thank for the balance between my business instincts and my technology background. Find a product, scenario, or customer problem that you are passionate about improving. A former manager of mine wrote up a description of what Product Managers need to do to be successful. In addition to 30 specific bullets about responsibilities of a Product Manager, the final responsibility he wrote was ‘Do anything to make sure your product ships.’ There will be lots of days you love being a product manager, but there will also be days when you have to take on tasks that you’re not comfortable with or don’t enjoy. At the end of the day, you need to be able to remember what you’re fighting for, and be able to come in the next day excited to start again with the same passion. 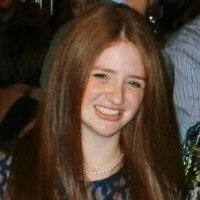 Rachel is currently a Senior Product Manager at Gogo in Chicago, Illinois. She graduated from Penn and M&T in 2006 with a Bachelor of Applied Science in Computer Science from Penn Engineering and a Bachelor of Science in Economics from the Wharton School with concentrations in management and marketing. In her free time, she enjoys exploring her new hometown, seeing live music, reading, and traveling to Paris and Seattle.